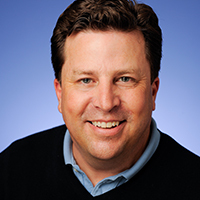 As vice president, North America for Williams Interactive, Bob Hays leads new business development, marketing, commercial sales and business-to-business product strategy for the firm. Prior to his current role Hays spent 2009-2012 as executive director of the provider's parent company WMS Gaming, leading their new business and commercial sales efforts across multiple North American jurisdictions. Before 2009 Hays was vice president, general manager and national sales manager with infrastructure, finance and media company General Electric Corporation, spending just over six years with the firm. Between 1995 -2002 Hays also held senior positions with Heller Financial, which was acquired by General Electric's financial services subsidiary GE Capital in 2001.